Our tours are one of the most popular ways to experience the West End. Walk through our stunning outdoor gallery, sample the cuisine offerings from our diverse restaurant scene and visit some of our unique niche retailers. You’re probably familiar with the murals that dot the West End’s urban landscape, but have you ever wondered what they mean? 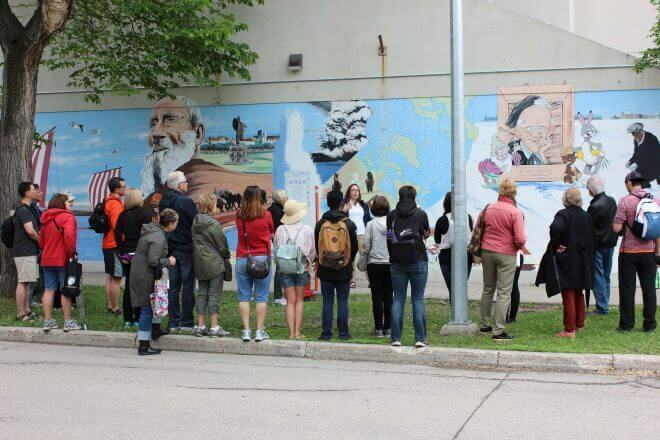 Our mural tours are now offered throughout the year.